During the third round of The Great Movie Tournament, please vote for up to two films you would like to move onto the next round. The top two films will be moving on. Keep in mind that the percentage of the vote a given film receives will determine its standing going forward. I don't know if December being spelled wrong in that jpg is supposed to be part of the joke or not but it's bothering me. Yes, part of the subtle "dumb" theme they were going for. "...the White House fully cooperated...the President took no act that in fact deprived the Special Counsel of the documents and witnesses necessary to complete his investigation." Not bad. Fell off the jetway again"
I am surprised as well. It is a superior piece of pop entertainment. 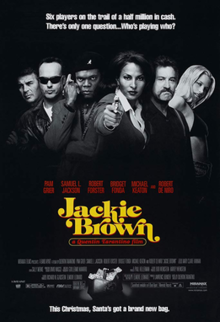 Jackie Brown got a bum deal being in this group. Dumb and Dumber having one more vote than Titanic for second is silly. It's a funny movie but Titanic is so epic. I guess you could say Titanic is going down in this group like a ________ _____. One of them is corny, hokey, and over the top - and the other is Dumb And Dumber. (Actually, I do like Titanic). Just the technical achievements alone in Titanic should be able to carry it far in this tournament. It has a lot going for it. I think Titanic is just a movie that people love to hate. 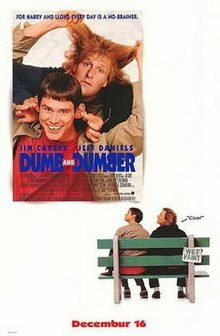 I don't see how it's even in the same league as Dumb and Dumber, but then again I'm not a fan of those types of comedies. I like them both but for obviously different reasons. I also voted for both. I've always voted in these tournaments for what I personally enjoy. 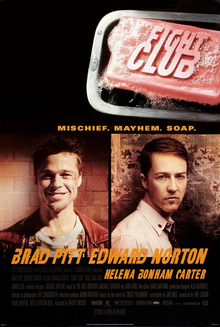 I don't care how many awards the movie has won or how critically acclaimed it is. Have to abstain again, haven't seen any of these. (and don't want to). Titanic and D&D tied for second. This is closing tomorrow.